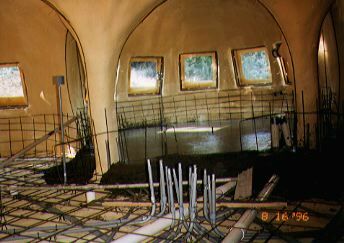 Here is the first layer of rebar for the floor. 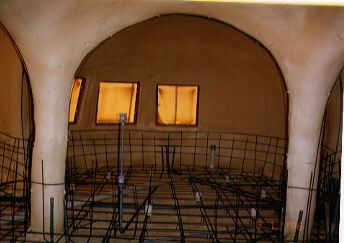 Rebar continues up the walls to connect the walls to the floor. 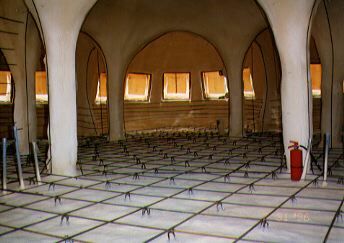 The white pipes are ventilation ducts. 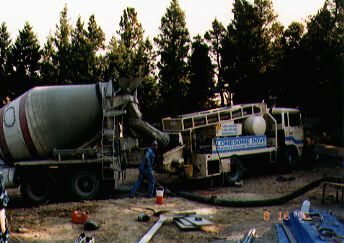 A concrete pump was used to place the 120 tons of concrete required for the 12" thick floor. It was all placed in one day. 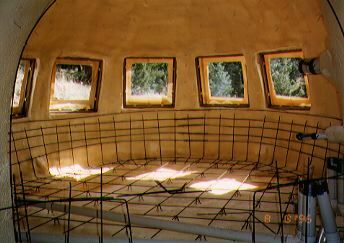 The first dome is placed, six more to go!